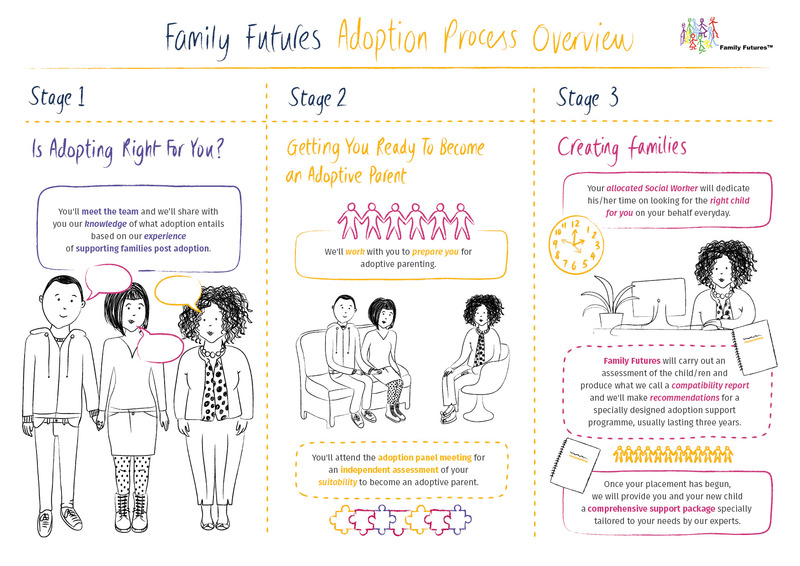 The adoption process can be intensive and sometimes frustrating, but it’s in both the child’s interests and yours to ensure you are fully prepared for what will become a life changing experience. The good news is we will be there to support you every step of the way, and we’ve designed our assessment process to be as efficient as possible. 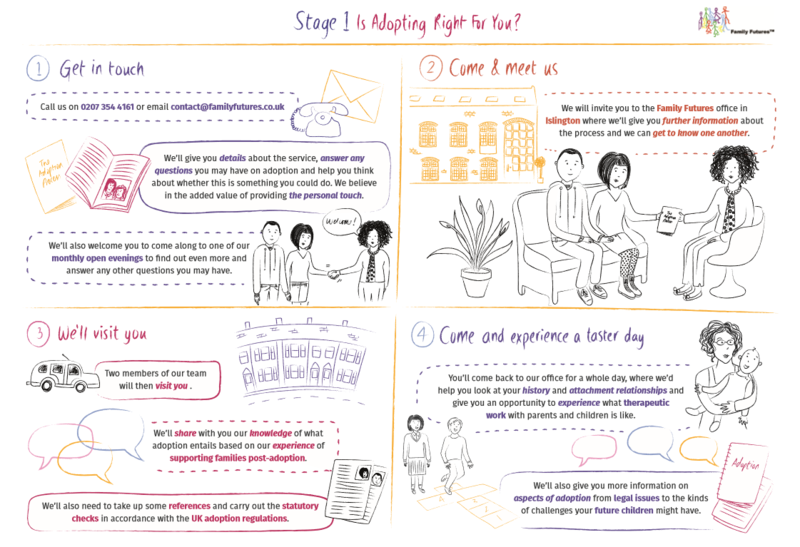 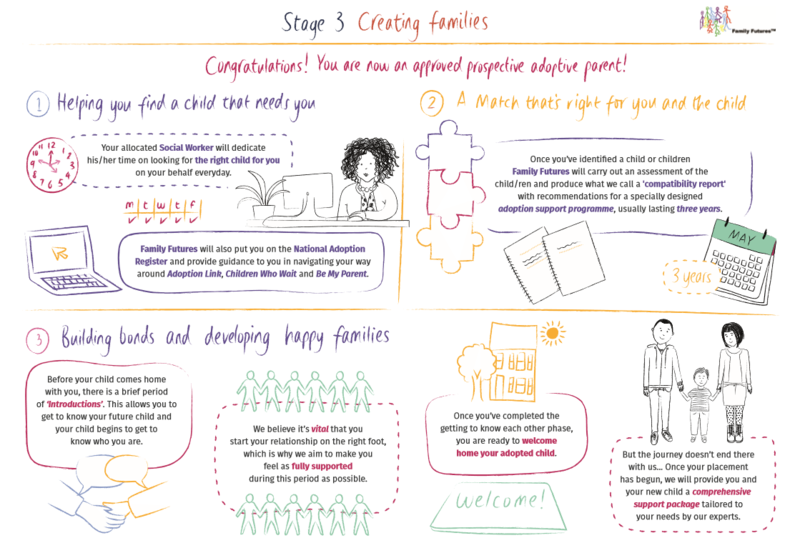 Watch an animation of our adoption process or click on the easy-to-digest illustrations below which give an overview of each stage of our process.